Hi Emily, please start by introducing yourself and your family. I’m Emily, I’m almost 25 and mum to two headstrong boys. Noah is now three with his own fully fledged attitude, Patrick is just nine months and definitely the diva in the family. John is the other half, who I’m not entirely sure how he’s managed to cope with me for eight years, but hey ho – here we are. What method of weaning are you using/did you use? With Noah it was the traditional puree method. I don’t even recall hearing about baby led weaning then, so much changed in just three years. Patrick we have mixed it slightly, he has purees for main meals though we obviously on a much lumpier consistency now and we have finger food snacks which seems to work well. Noah was 17 weeks which is just over four months as back then the recommended age was actually 3-4 months. He was a huge baby, weighing 9lb13 at birth, and with the ok from the HV we set sail on the journey and didn’t look back. Patrick was the complete opposite, a premature baby and definitely not ready till he was just over six months. With my first we began with the usual go-to’s, porridge and baby rice which both went down a storm for a good week, before I made the catastrophic error of moving onto fruit as opposed to veg. Thank goodness I rid him of that sweet tooth around 10 months old. Patrick hated the blander foods and we moved swiftly on to vegetables with him, he is a veggie lover as I wasn’t making the same mistake twice. What are baby’s favourite and worst foods? Noah eats anything and everything which makes me so proud, though once on Halloween at nursery he wouldn’t eat pumpkin soup (Who can blame him – yack!) Patrick is much the same, though he has taken a slight dislike to watermelon. Strange boy, it’s pretty much just water? 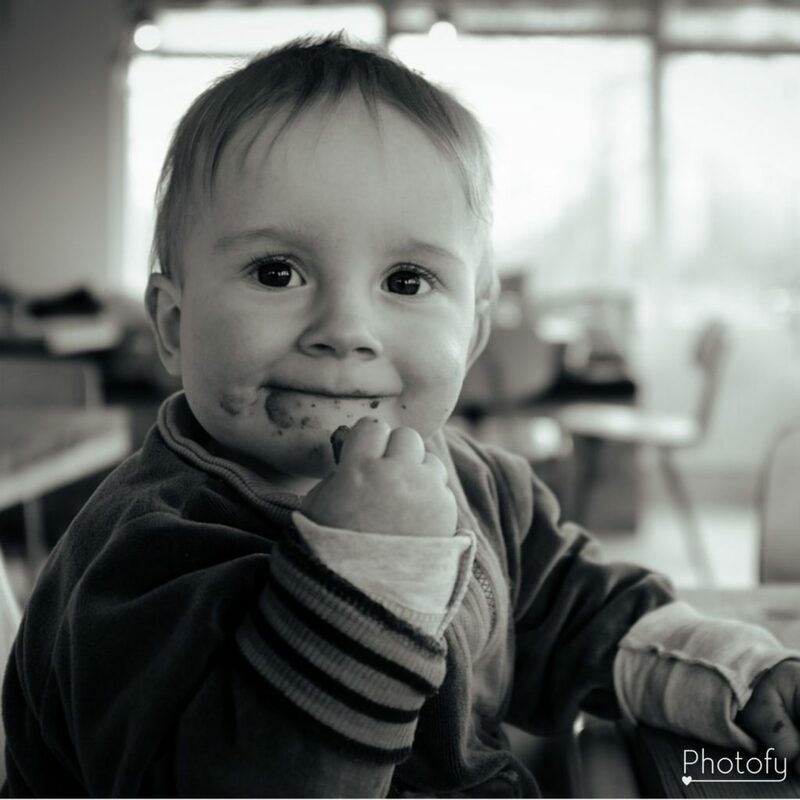 What sort of food does baby eat when you are out and about? We do enjoy pouches for their convenience when we’re on our travels, I prefer the Babease ones as they’re the kind of things I would eat myself as an adult. They’re all veggie based and sound delicious. Obviously if we are actually in a place to eat, or going to one, I’ll just get him something from their menu and mash it up slightly. Life is a lot easier now he’s onto that stage of weaning. We use the beautiful Nomi highchair by Evomove. Yes, without a shadow of a doubt, it guides you from newborn to teenager with different attachments and anyone who visits compliments how beautiful it is. Very scandi. If we’re talking Mcdonalds then absolutely not. Noah had never so much as second glanced at a Mcdonalds till his third birthday, it’s a rarity but I’d most definitely never put anything like that in front of Patrick. Weaning is always nervy because it’s the unknown. Even as a second time Mum you definitely doubt yourself occasionally; is he eating enough, is it too hot, does he like that, is he even interested? It’s so hard to know what on earth is going on in those little minds, but you get there, time is everything. Not directly. 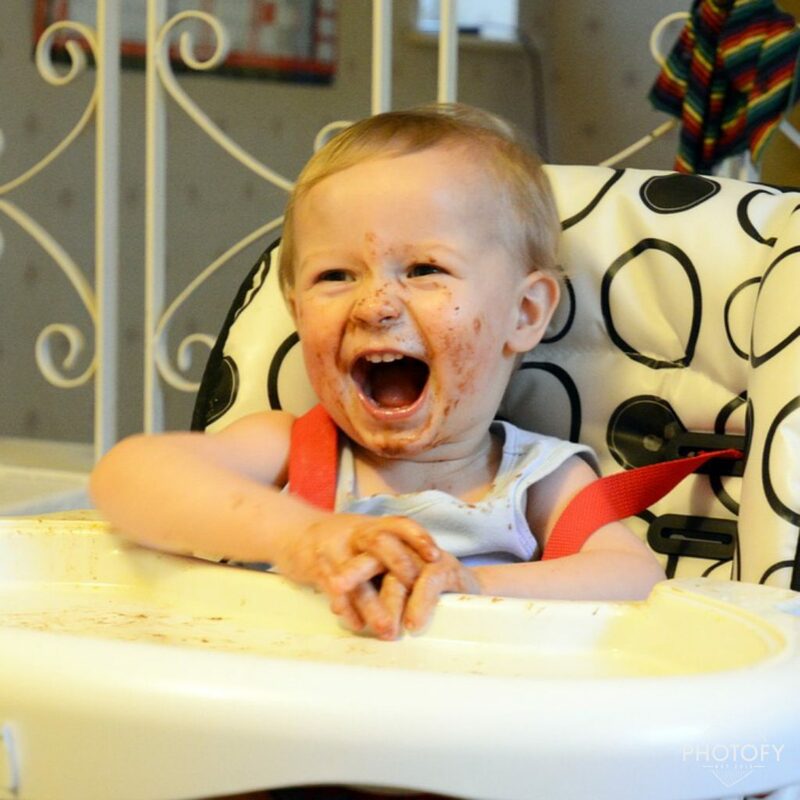 I read a post once that explained someones choice for baby led weaning, apparently, though it was much more about why you shouldn’t use the traditional pureed method. I found the whole post very scaremongering, and thankfully I wasn’t a brand new mum ready to wean because to read such things as ‘your child is more likely to be obese and have IBS’ was terrifying! Do you meal plan, or just offer whatever is available in the fridge? I’m a bit of a winger, I do meal plan, but I rarely stick to them. I always make sure though whatever we have the boys can too, if it’s something a little hotter like a curry or chilli, I’ll always make a milder version for their palettes. Munchkin spoons are fantastic, they’re soft tipped and really flexible for getting food into those gummy mouths. We found the bowls with lids from Munchkin pretty awesome too, it was incredibly handy that I could cover food so easily and just pop it straight into my bag if we’re on the go. I’m lucky I’ve got to do this now with having two sons, but I vowed after Noah that I would really enjoy just having Patrick on milk and not rush weaning, which I made sure we did. It was lovely, I knew at some point we would be at the stage we are now, and I was in no rush to see him get there sooner. I felt I really appreciated those early days that bit more. If you could give one piece of advice to new Mums who are about to start weaning, what would it be. Don’t rush. It’s so easy to see the friend who has a baby two weeks younger than yours weaning and think ‘Oh gosh I need to start!’, just take your time. Weaning is fun, especially all the new tastes and textures, but it’s also bittersweet as it’s a milestone that pushes you further away from babydom. Just go with the flow and do what works for you. Nice article based on your experience. I also believe that it’s best not to hurry. After all the baby will have years to come to taste different food.